Very clean, safe building, ease of access to metro and the university. Bakery right in front. 40 minutes away from the center of Paris via public transit. Cute studio, nicely decorated, quiet at night. Accommodating and kind owners. It’s was comfortable and very cute! The host was very polite and helpful. The apartment was the perfect size! For a solo traveler I recommend it Hermann Merci!! The bed was SUPER comfy. And the guy who met me to give me the key was very kind and helpful. Even gave me some complimentary (non-alcoholic) beverages. The apartment was very well equipped with everything that was needed to feel like at home. In particular, I was happy I was able to cook something by myself for dinner, so I was not obliged to go to a restaurant. Furthermore, there was a big supermarket in the neighbourhood, where I bought my supplies quite easily. 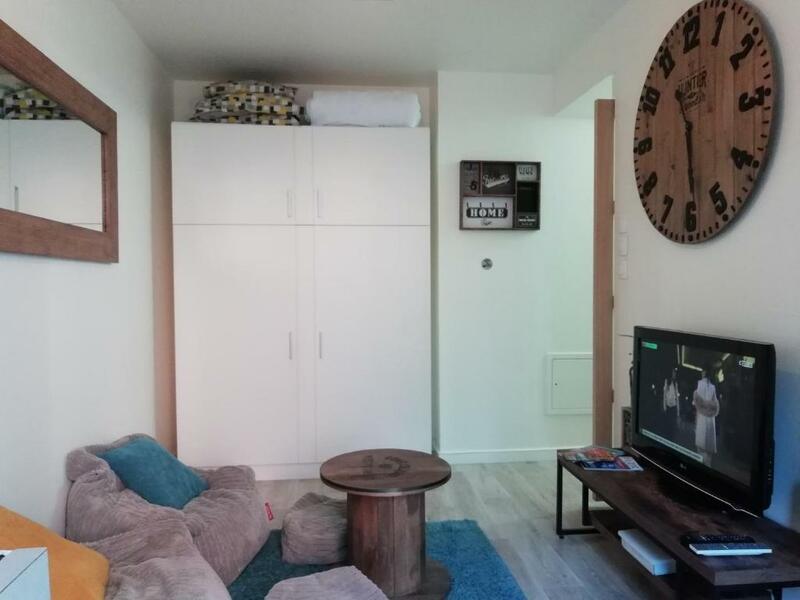 Very close to the metro and nice room. The fact that it is far from the city centre (instead of somewhere closer to it) is somehow a good thing because you board the metro when there's not much people. As the metro approaches the city centre it gets really packed while you will be sitting comfortably on a seat. 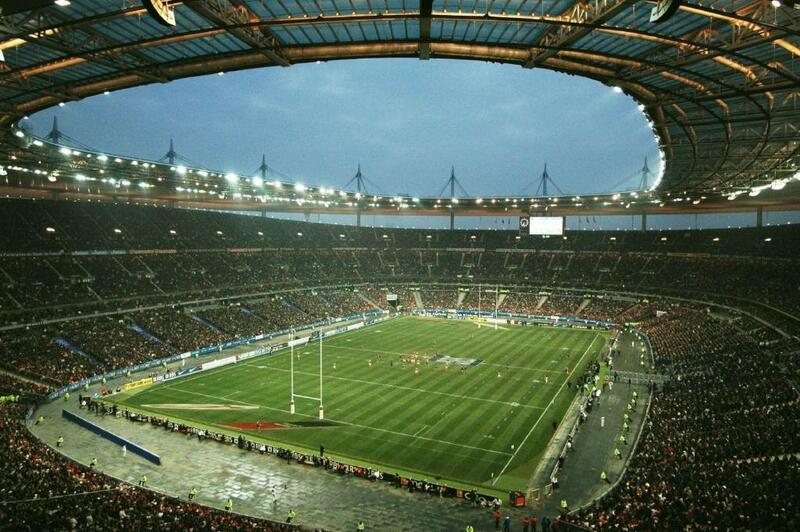 You can also travel to here by metro 13 using a t+ ticket(cheapest way to travel in Paris), which is a plus point. The host is very friendly and helpful. 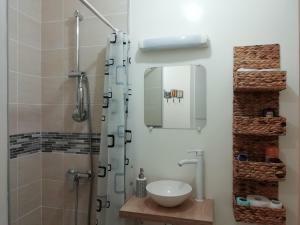 The apartment is clean, comfortable and includes all facilities needed, it felt like home. The private parking spot is big advantage. Shops and Metro are in just a few 100 meters no need to use the car. 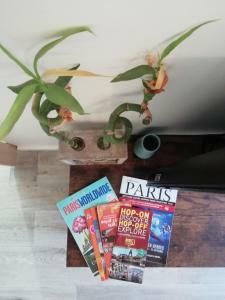 Lock in a great price for Chic studio in Paris – rated 8.7 by recent guests! One of our best sellers in Saint-Denis! 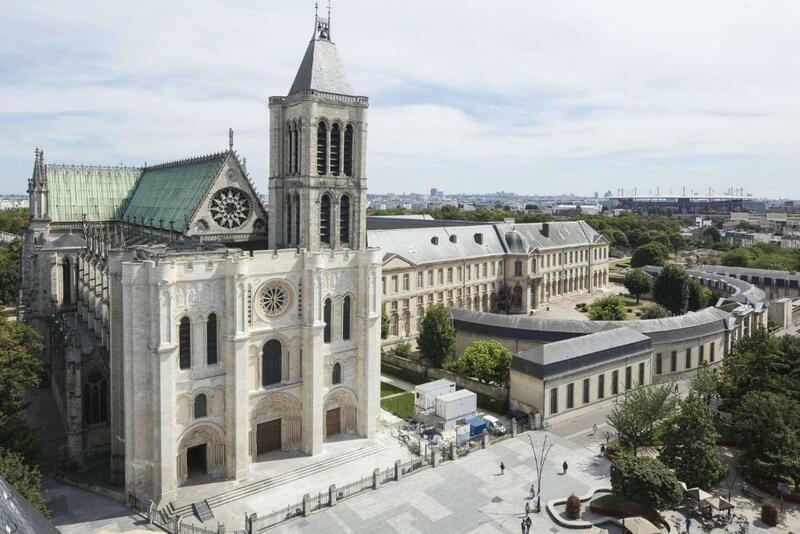 Set 1,650 feet from Basilica Saint Denis, Chic studio in Paris St-Denis (Stade France) enjoys a location in Saint-Denis, just a 2-minute walk from Basilique de Saint-Denis Metro Station, providing access to Saint-Lazare Train Station within 20 minutes. Featuring garden views, the apartment is composed of 1 bedroom and 1 bathroom with free toiletries. 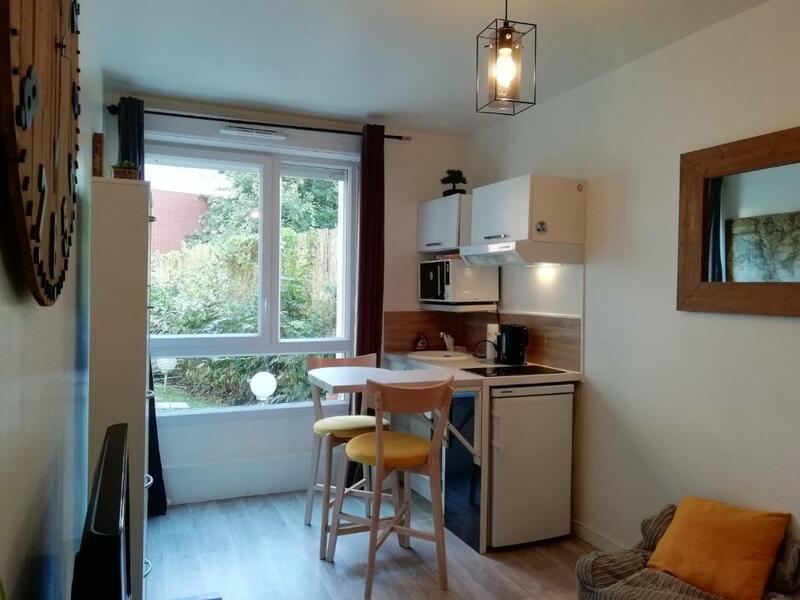 There is a seating area and a kitchen equipped with a microwave. Saint-Denis Court is 1,000 feet from the apartment. The nearest airport is Paris - Charles de Gaulle Airport, 11 mi from the property. 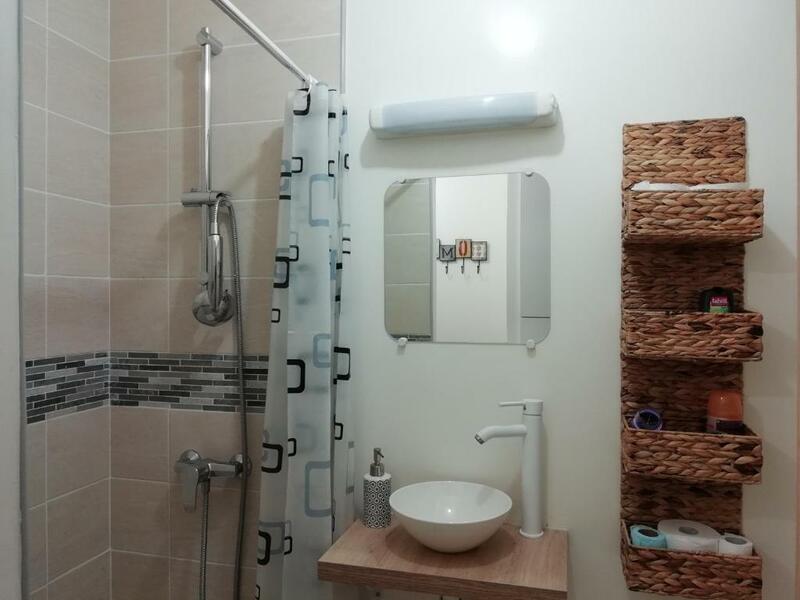 This property also has one of the top-rated locations in Saint-Denis! Guests are happier about it compared to other properties in the area. When would you like to stay at Chic studio in Paris? House Rules Chic studio in Paris takes special requests – add in the next step! Please inform Chic studio in Paris of your expected arrival time in advance. You can use the Special Requests box when booking, or contact the property directly using the contact details in your confirmation. The area, Saint Denis in general is just a horrible, ugly, dangerous area of Paris. The location wasn’t my favorite nothing wrong with it just a bit to far from center of Paris! The ad reads "Chic studio in Paris" but I think it should really read "near" Paris. It's 30 minutes from everything by train which is definitely not bad, but it's definitely not in the technical Paris periphery (what they call the districts of Paris). If you tell someone who lives in France or Paris the location, they'll definitely say, "That's not in Paris. That's outside Paris." (As several said to me.) But again, it was not complicated to get around on the metro from there. Super straight forward and a straight shot on the Metro line 13. For the price I wonder if you'd end up having to stay in a bunk bed in a hostel or an older run-down, less clean hotel to get central central Paris. And don't be alarmed that it's in Saint-Denis. Apparently that area has been likened to Compton in the US for it's danger/being run-down but this specific location was completely fine--3 minutes walking from the metro and I never felt unsafe as a single woman who didn't even speak French. The apartment is brand new. The property owner also legitimately cares and wants you to enjoy your stay. He checked in with me before, during, and after the stay and I know would take any feedback seriously. He speaks English, as does the person who's there to let you in. Very, very nice people. The only thing that I didn't like at all was the unexpectedly high charge for cleaning, of which I only became aware when it came to payment on the Booking website. 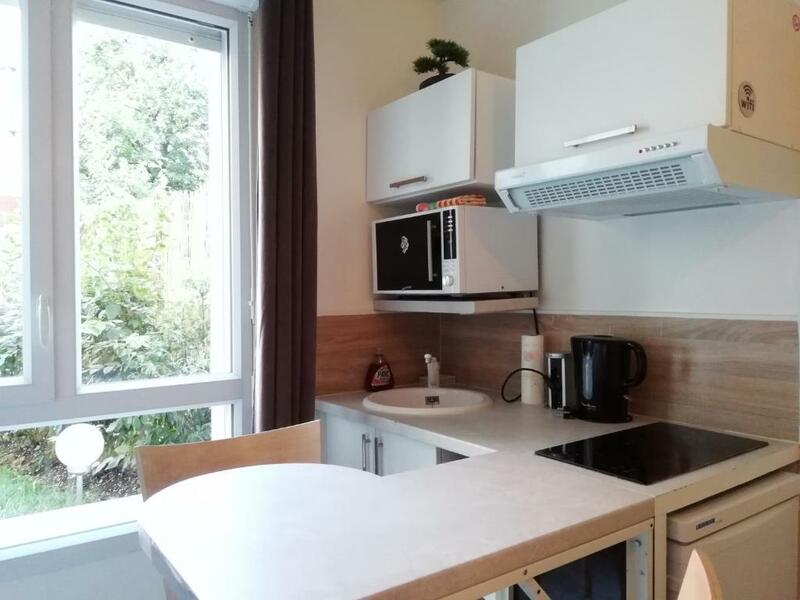 Location is around 40 to 50 minutes away from the city centre, which will turn down some people but for this price and the quality of room I am willing to accept it.